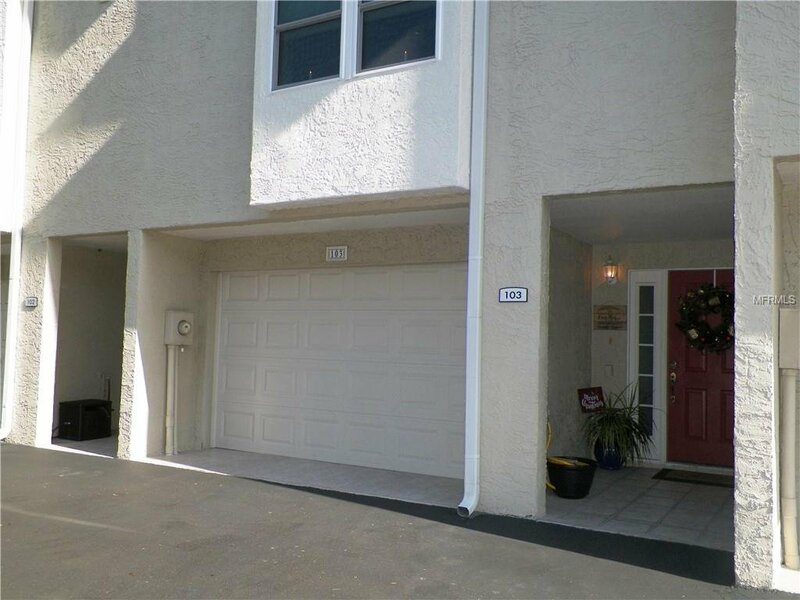 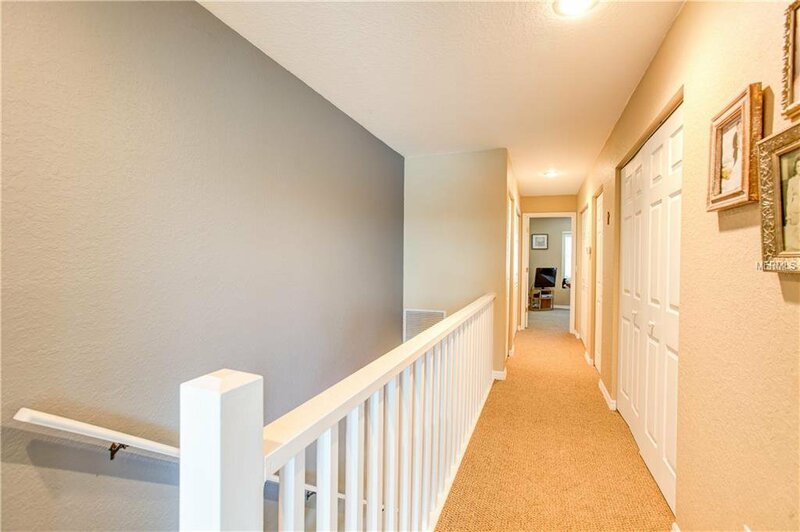 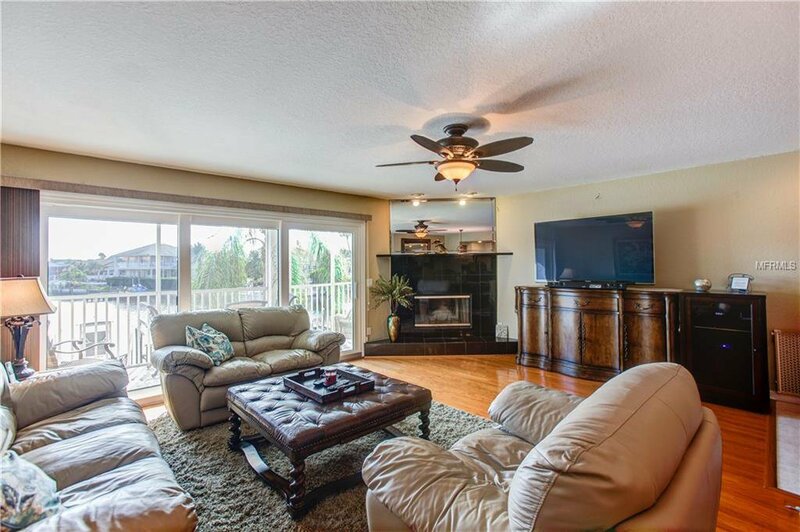 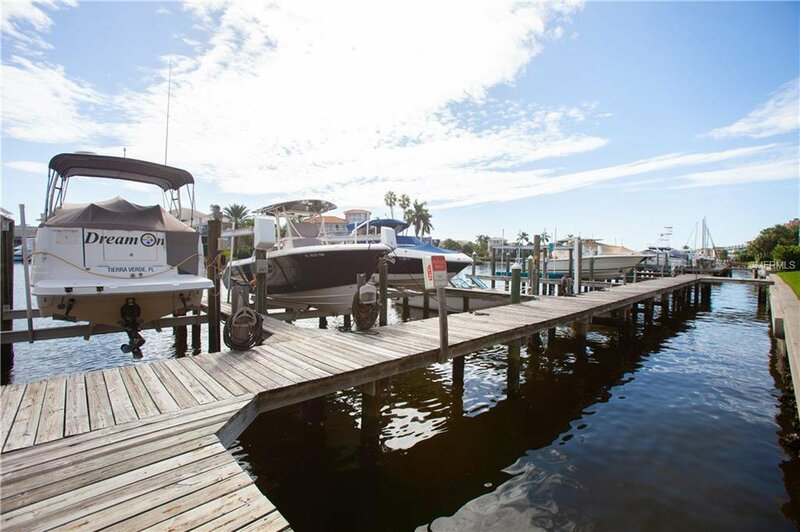 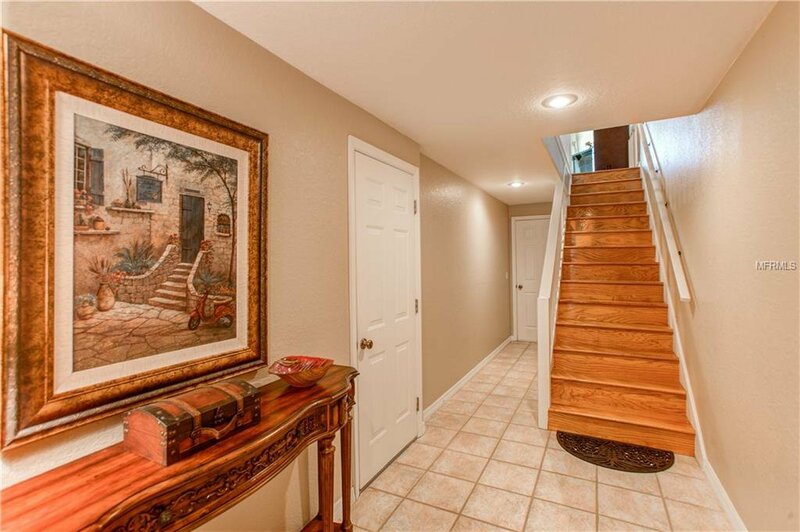 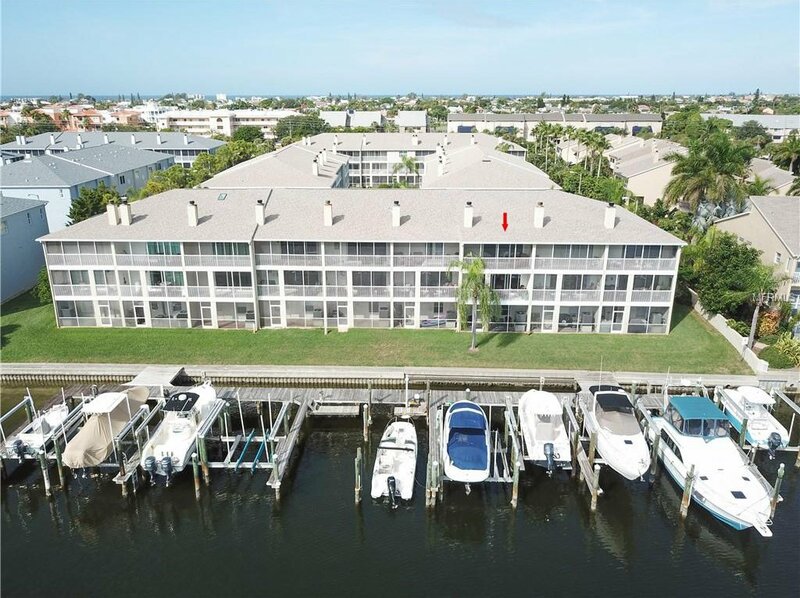 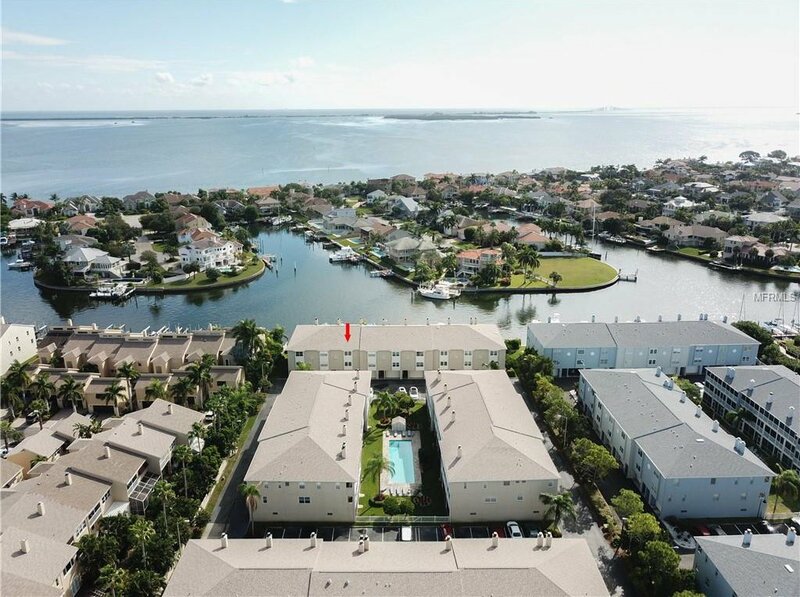 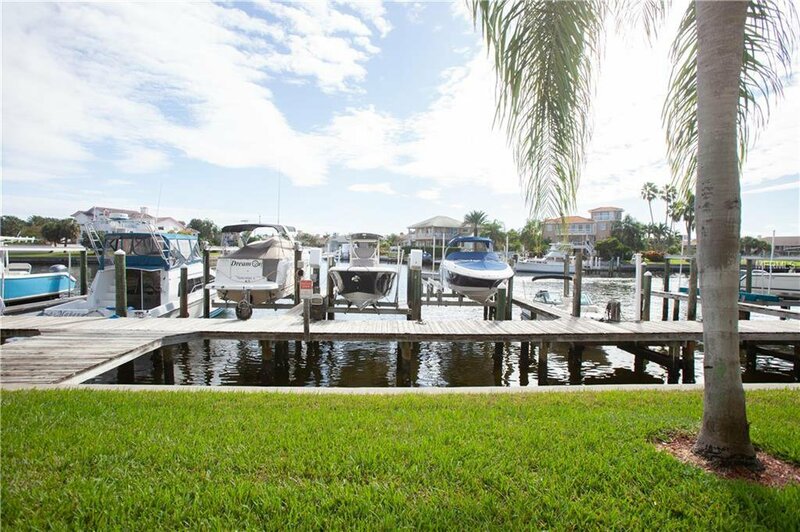 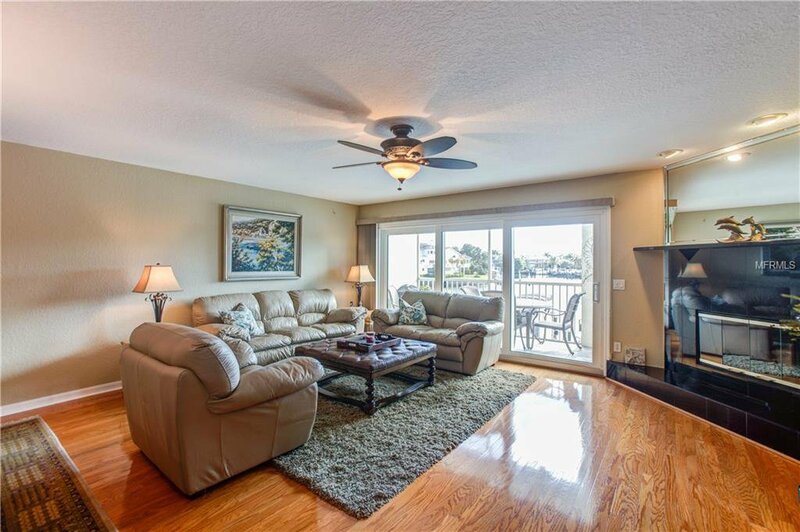 WATERFRONT 3BR/3BA townhouse with boat slip and 10,000 lbs lift offers all the amenities of a single family home. 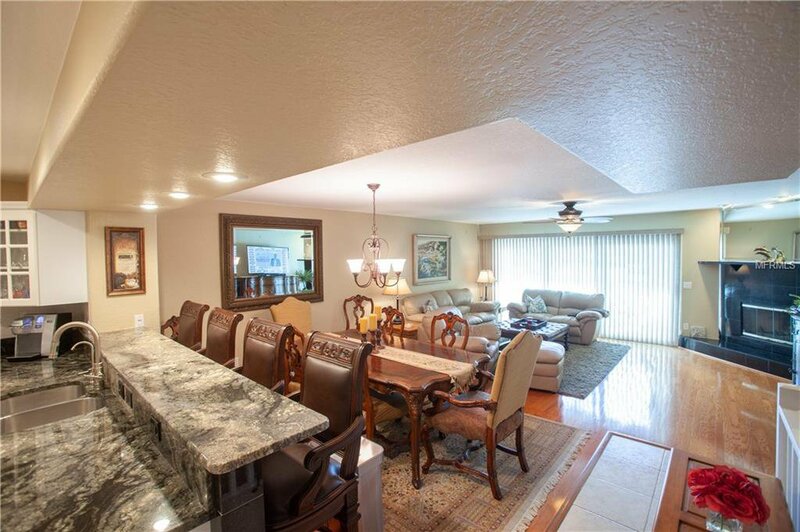 The open floor plan invites elegant living and entertaining. 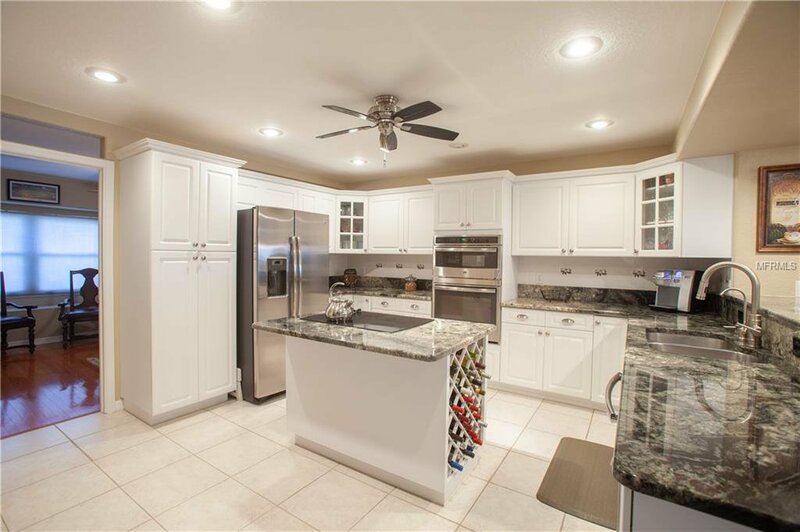 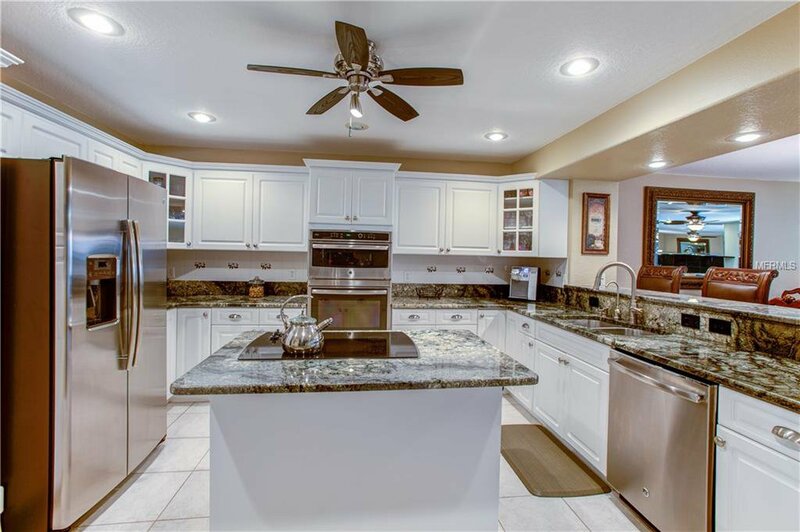 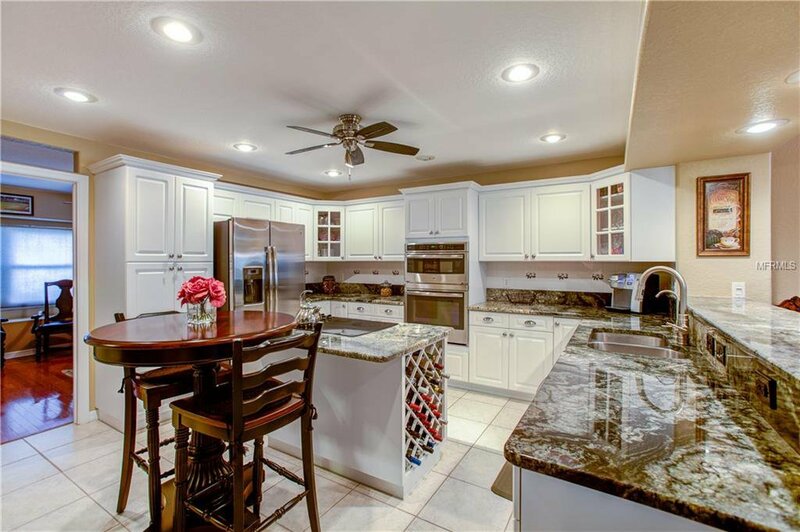 The designer kitchen has an island with glass cook top, gorgeous granite counters, top of the line newly installed GE/SS appliances: built-in convection oven and microwave. 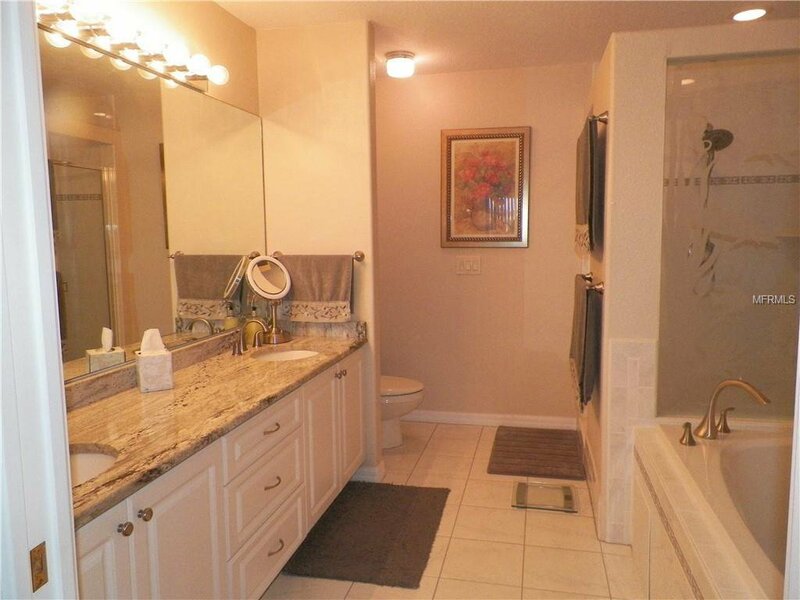 Reverse Osmosis water system under the kitchen sink. 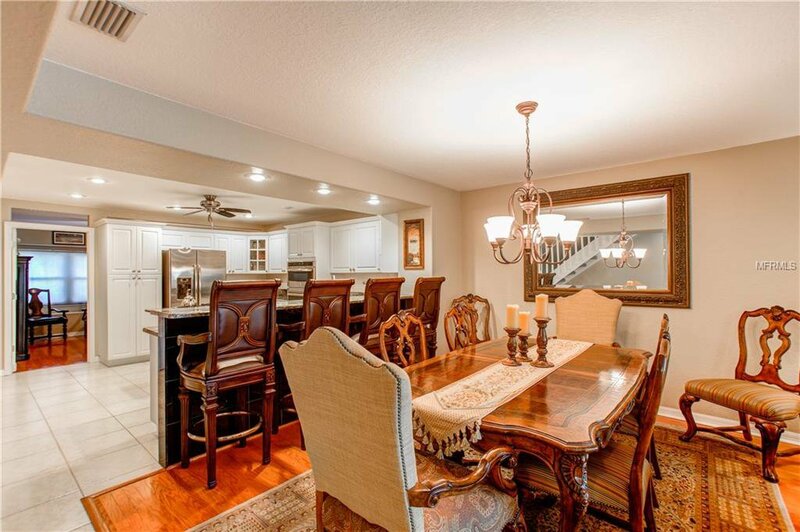 Dining room and living room with hardwood floors, wood burning fireplace. 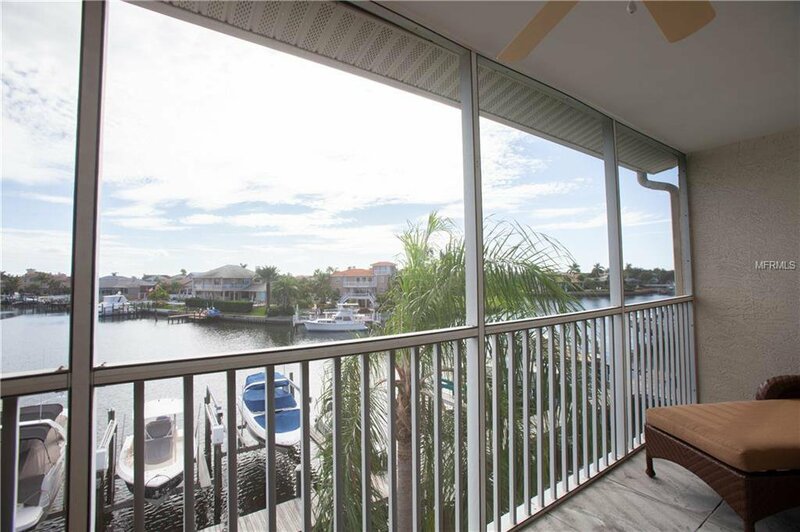 Newly installed (2018) stackable panels sliding glass doors open to the waterfront balcony where you can watch the dolphins at play and enjoy beautiful sunrises. 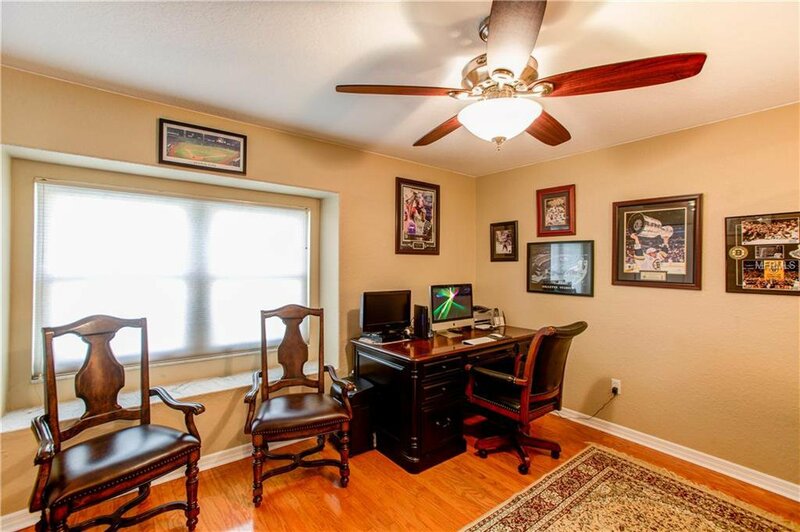 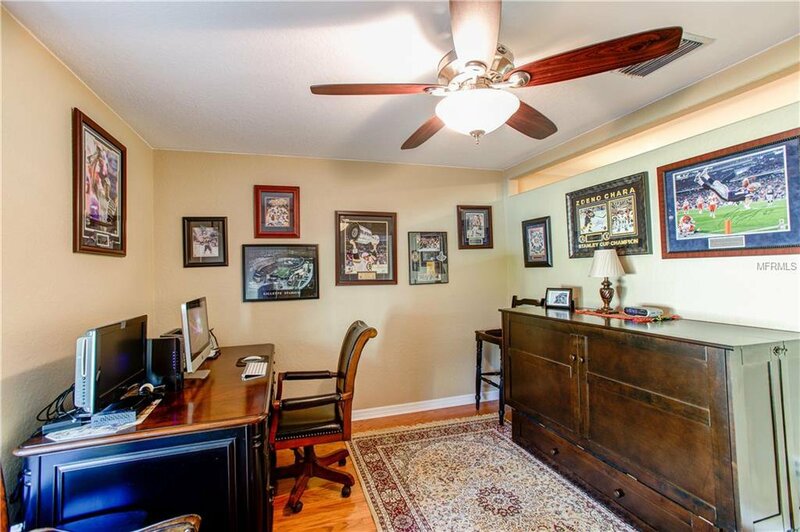 Second level den/office or 3rd bedroom. 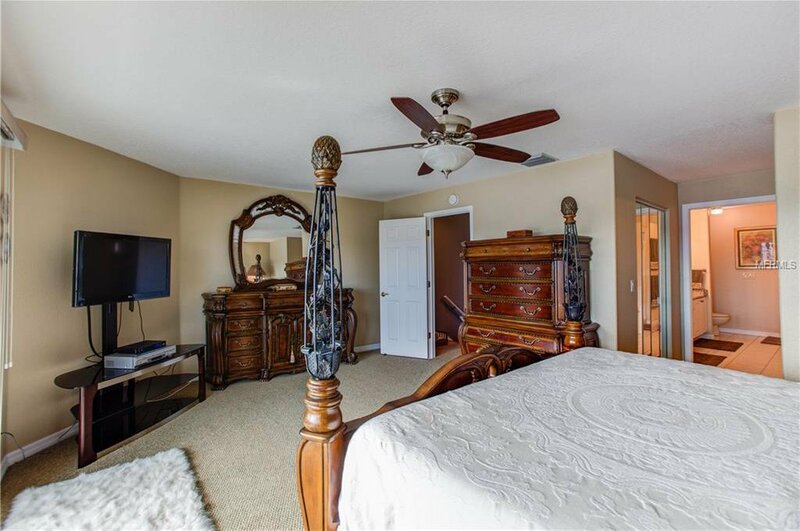 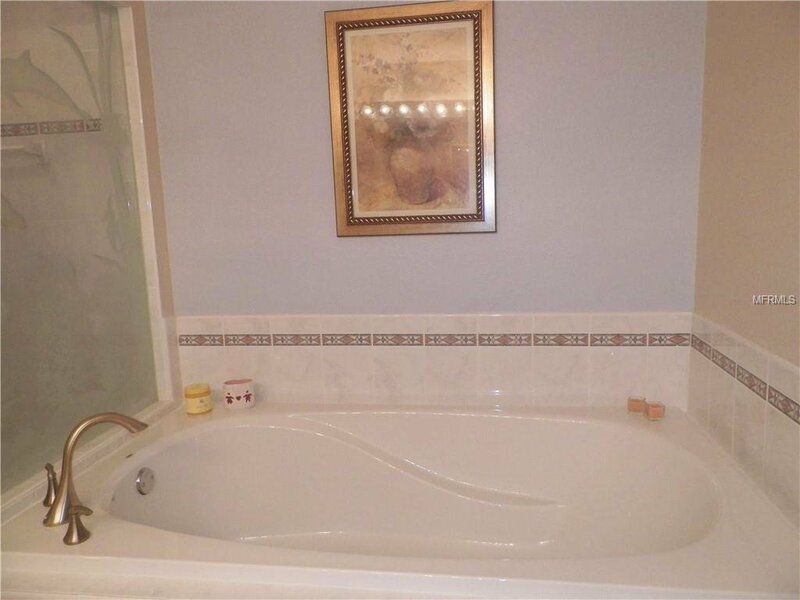 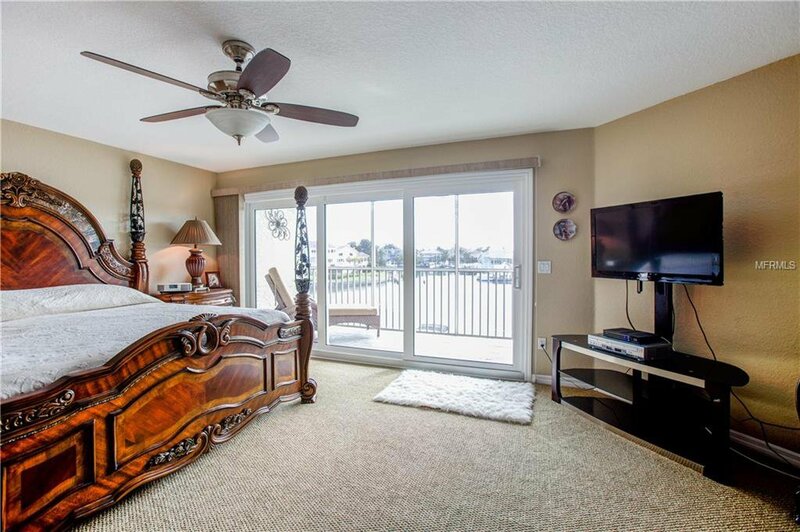 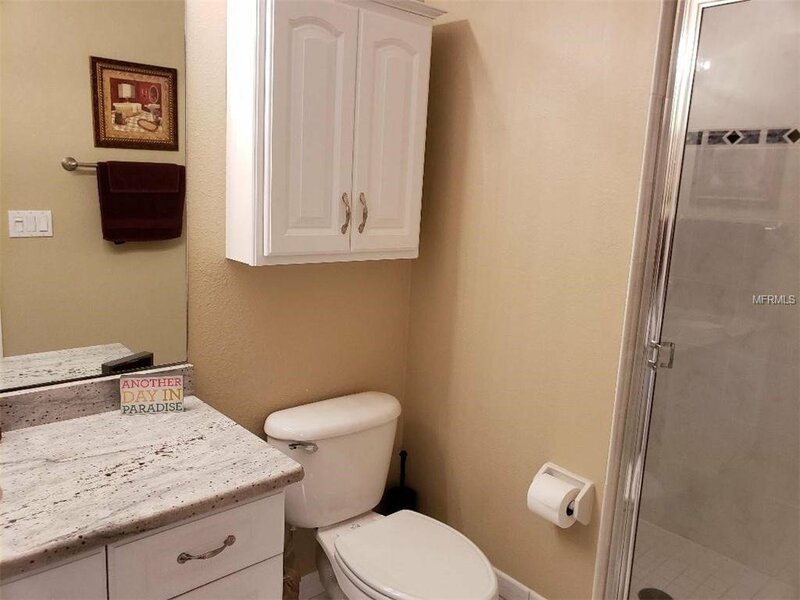 Large master suite with its own private waterfront balcony with his and hers walk-in closet, master bath:double sinks, marble vanity top,soaking tub (installed 2018) and ceramic tiled shower. 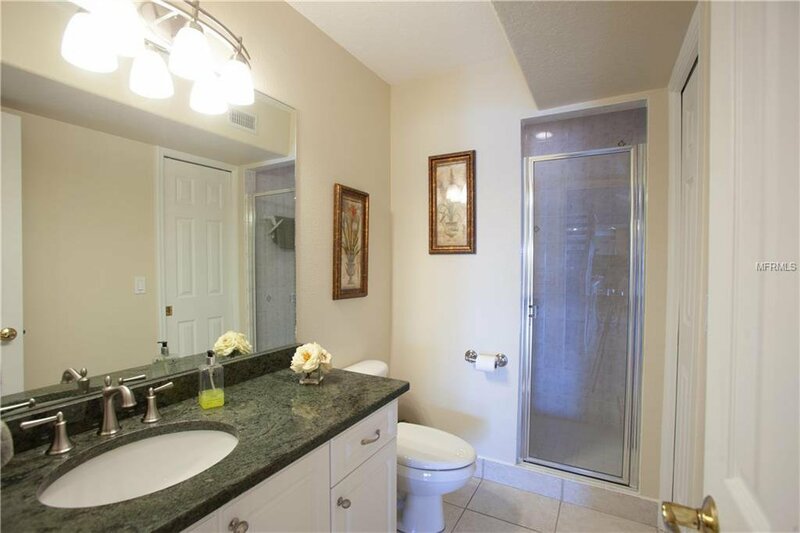 Upstairs guest BR can be used as a second master suite with its en suite bathroom, marble vanity top and stand up shower. 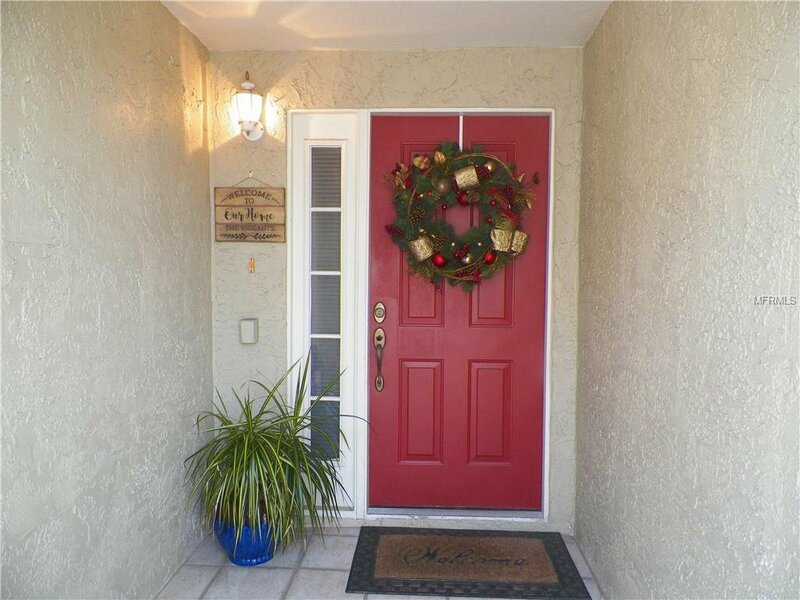 The HURRICANE IMPACT doors, sliding glass doors, garage door will save you hundreds in homeowner's insurance. 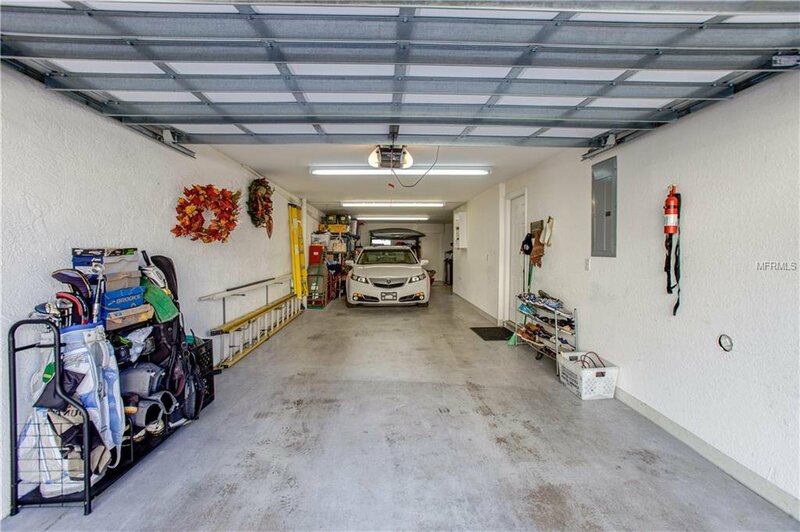 The oversized 2 + car garage has plenty of room for a workshop and additional storage. 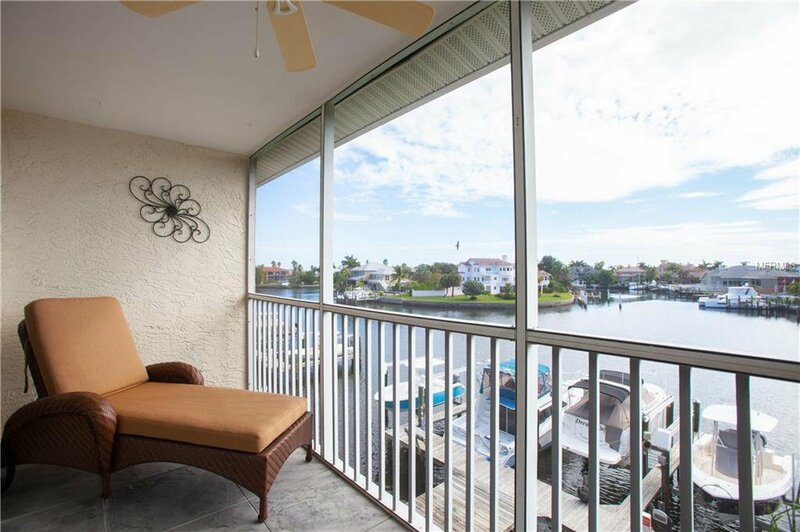 Boat slip #3 is steps away from the lower level screened in patio. 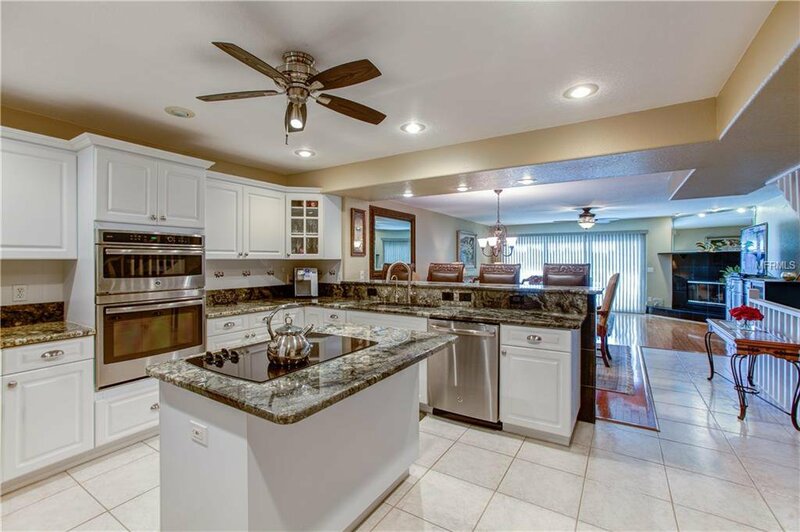 The HOA has strong reserves; new roofs (2017). 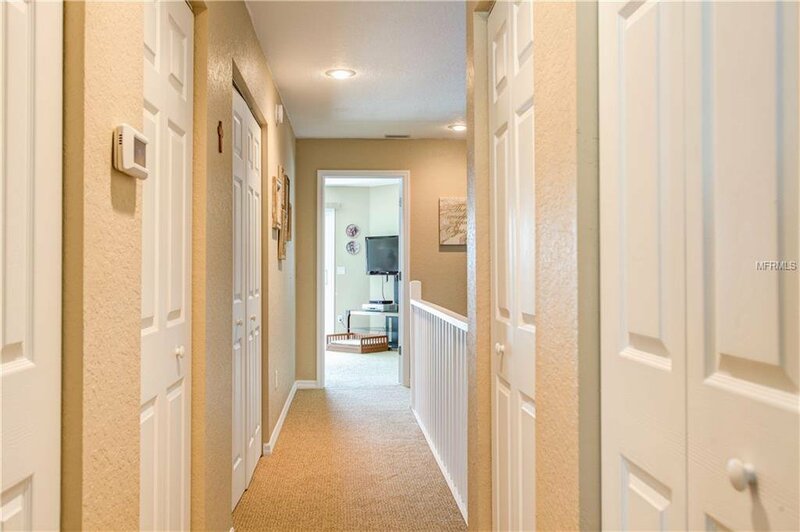 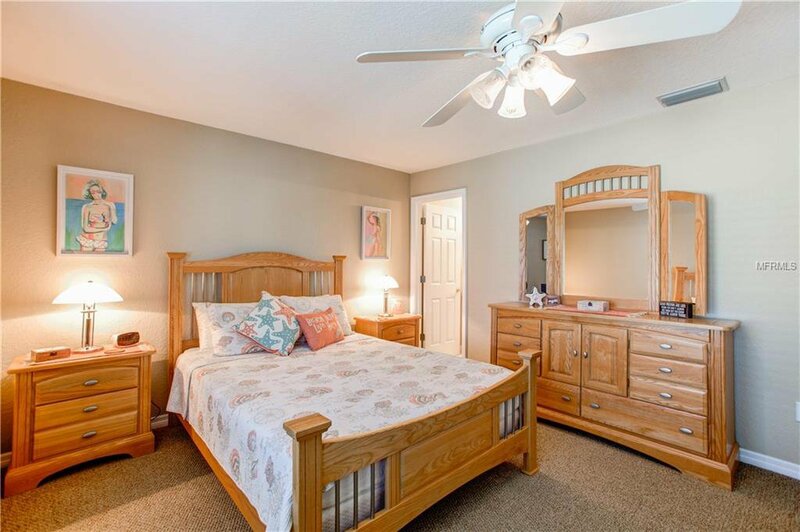 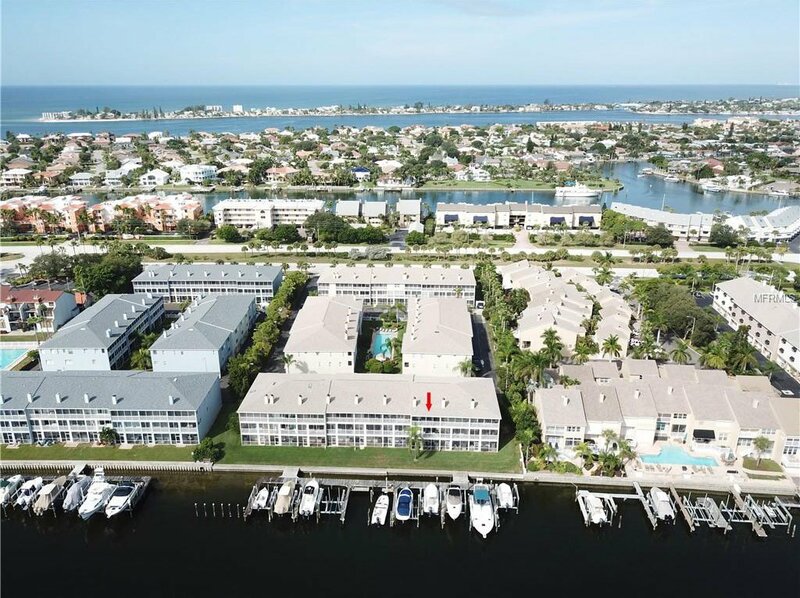 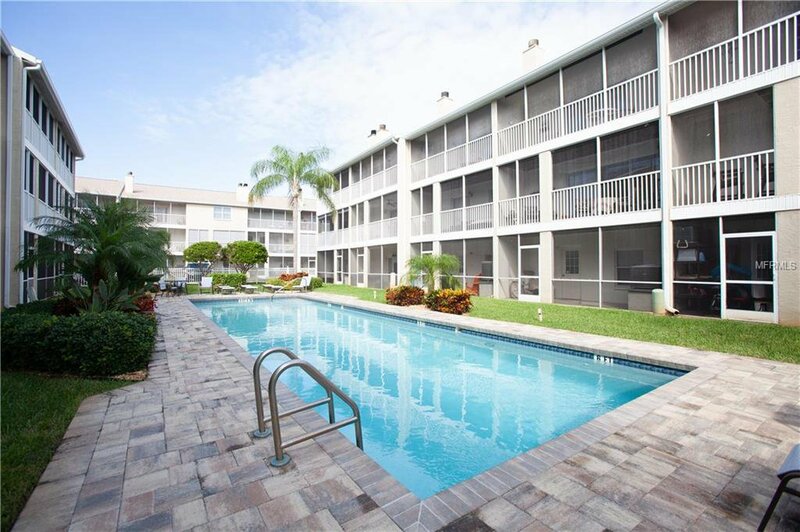 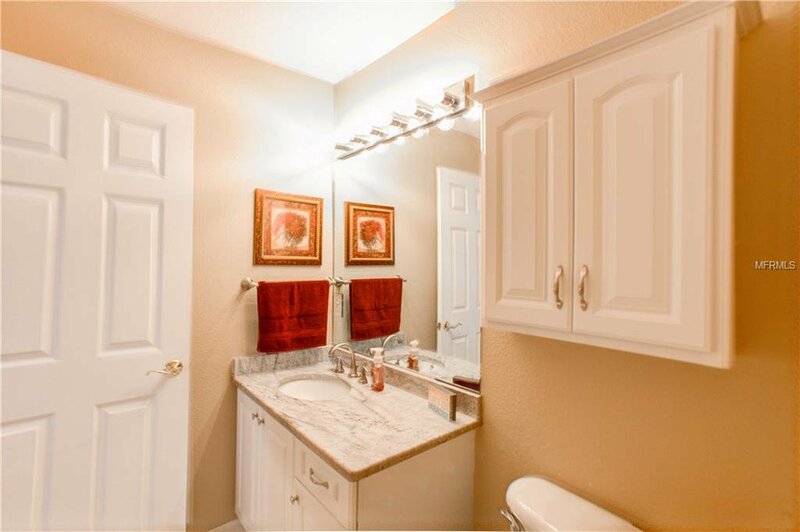 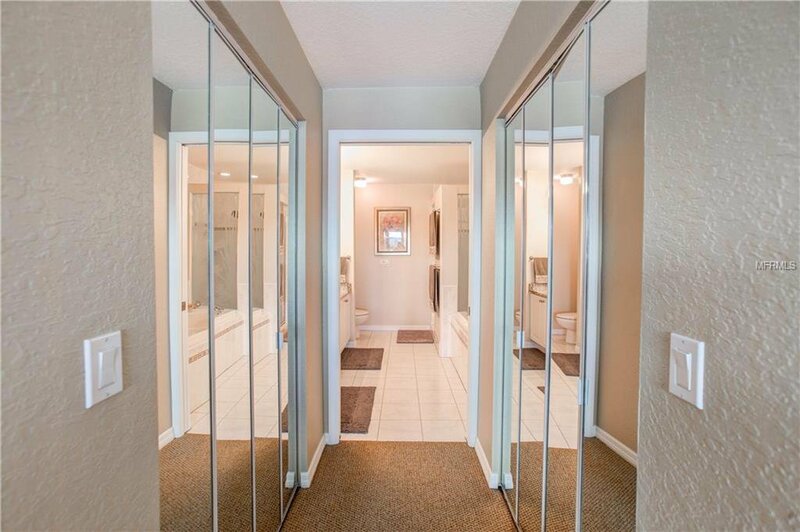 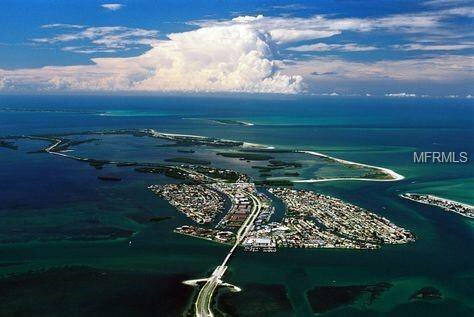 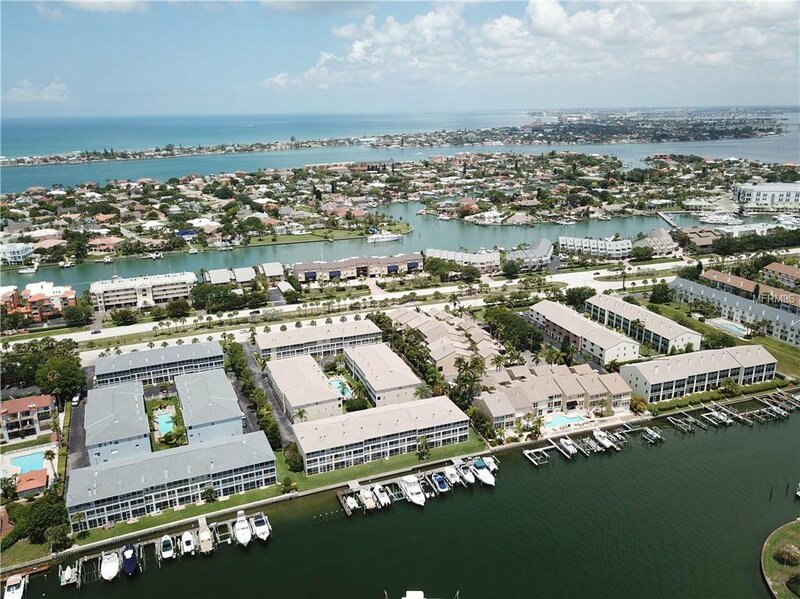 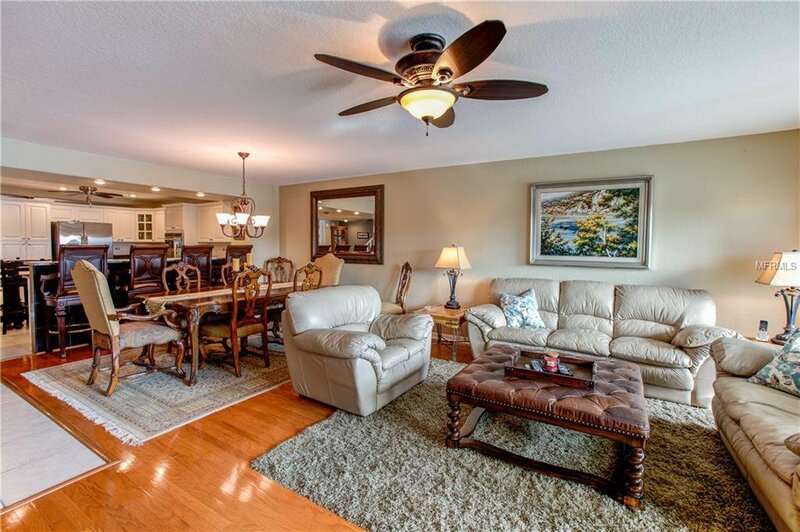 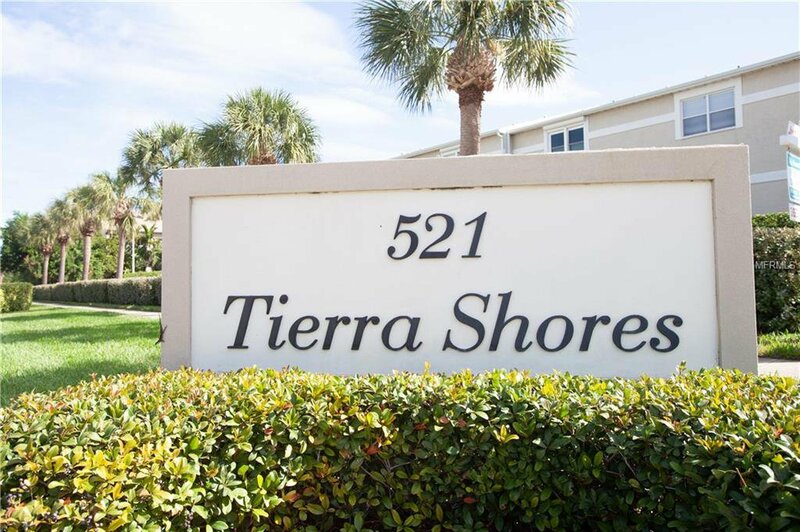 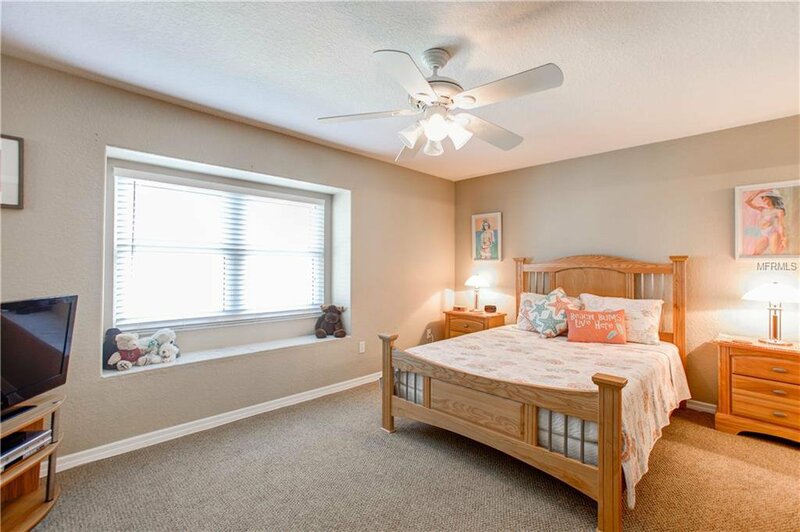 This pet friendly community which allows large dogs is located near Fort De Soto Park, Gulf beaches, Airports, Interstate, shopping, restaurants, arts and entertainment, museums and galleries. 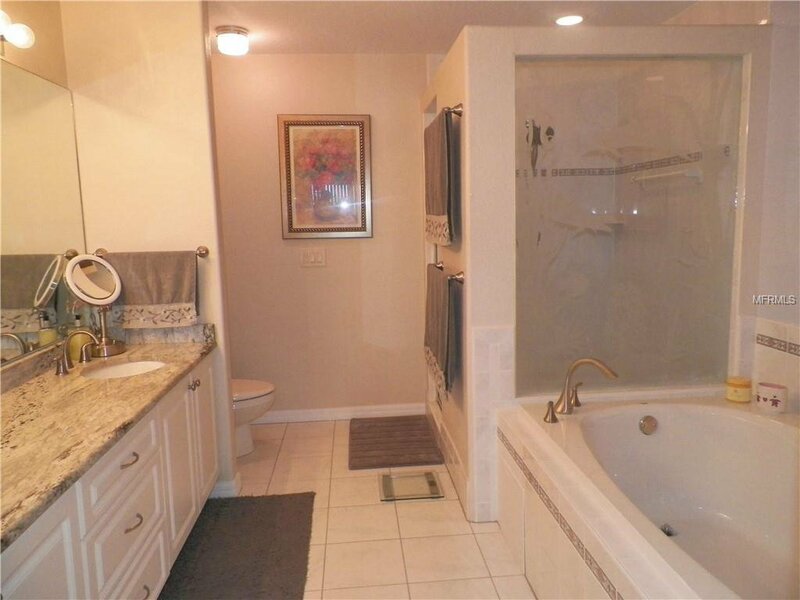 ONE YEAR HOME WARRANTY INCLUDED. 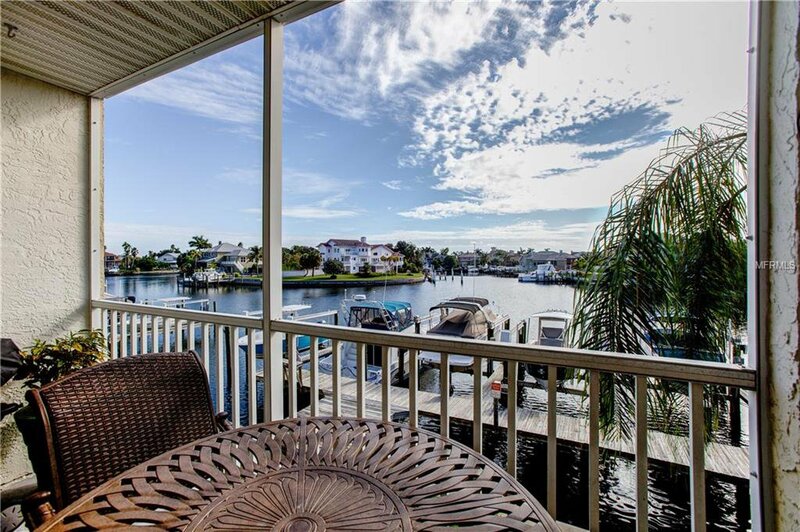 Listing courtesy of CENTURY 21 COAST TO COAST.